Travel registered nurses are those nurses, who travel the whole country with a motive to help and treat people. They mostly work in place of those nurses who are on sick or maternity leaves. Furthermore, they are required at the time of emergencies, casualties and shortage of nurses. It is mandatory to be an RN first before becoming a travel RN. These nurses can work outside the United States as well, but they make much better money within the country. This whole profession offers tremendous benefits. They get various opportunities to explore new locations, encounter new people, and attain practical as well as exceptional specialized knowledge. Several tasks and activities performed by a travel nurse majorly depend upon the specialization attained by him/her. These professionals can opt to become a surgery specialist to help during surgeries, or else, they can pursue specialization in cardiac care. Travel nursing is a great choice for all those people who are willing to travel the whole world and gain international exposure. It is important that every travel nurse possess some qualities and traits to work efficiently and effectively. These skills will help them to work to the best of their abilities and become a successful nurse. In this profession, travel nurse meets new people every day, so it’s essential that they possess excellent communication skills. They must be able to interact very well and convey their thoughts and requirements clearly. The job activities of a travel nurse include exposure to various techniques and technologies. Besides, when you work in different medical settings and hospitals, you learn new things every day. Therefore, it’s essential for the aspirants to have keenness for learning. Since this profession is very demanding, one needs to be dedicated and persistent. It is necessary for these nurses to work hard with complete devotion and composure to achieve success in their career. For these nurses, every other day comes up with new challenges and opportunities. They must have the capability to face these obscure hardships and proceed in the right direction. A travel nurse shouldn’t breakdown during such situations. A travel registered nurse need to be flexible enough to adjust to new surroundings and people. They should be able to work in the most unfavorable environment. They must be able to learn and grasp new policies and procedures at a faster pace. Making correct decisions is very crucial in this field. Decisions taken by these professionals directly affect the life of a patient. They need to use appropriate thinking power before any pronouncement. Apart from the above mentioned skills, every travel RN must possess some other qualities like attractive personality, reliable thinking, detail oriented, physically and mentally strong, empathetic and considerate in nature etc. As per the Bureau of Labor Statistics, there will be very high demand for travel RNs by 2018. Although one has to possess all the similar qualities as possessed by a registered nurse, but there are some additional formalities and requirements which are to be fulfilled. First of all, a nurse should be an RN to become a travel nurse. Moreover, the duration of the travel assignments may range from 8 to 52 weeks. The first step towards becoming a travel RN is to obtain a high school diploma or GED. Some medical settings also hire LVNs and LPNs for the post of travel nurses; therefore, even in that case, it’s compulsory to have a diploma or GED. After qualifying high school, look for colleges and universities offering a two or four-year nursing degree program in nursing. Get enrolled, complete the formalities and get a recognized degree to sit for the national exam. 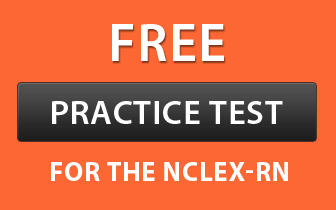 Now apply for the national exam and clear it to get an RN license. It is compulsory to start practicing as a registered nurse. It is obligatory to work for at least one year in any health care setting. Some employers may require you to have 2-3 years of working experience. If you attain more experience than the prescribed duration, it will help you gain better travel nursing jobs. When you are through all the above mentioned steps, you are eligible to become a travel nurse. You can now apply in travel nursing agencies and can get job according to your specifications. Drug testing, immunization shots and background checks are certain requirements to be fulfilled during this time. After conversing with different recruiters, you will have to choose a particular travel assignment considering its pros and cons. And then you can begin your new and rewarding career as a travel nurse. A travel nurse has to perform many different job activities and responsibilities. They may vary according to job location and specialization. Travel nurses cater to the needs of those who are sick or injured people. They not only look after them, but also put in their efforts to help them recover as soon as possible. These professionals also manage the distribution of medicines and drugs. They handle various activities before and during the treatment to ensure that nothing goes wrong. There are many diagnostic and medical reports of a patient which are evaluated and analyzed by travel nurses. They explain the details of these reports to the respective patient. The vital signs and medical history are always noted by these travel RNs. It is their duty to maintain as well as complete the records to do away with any form of hindrances. Travel registered nurses should keep a check of the medical signs and recovery process of the patient. They have to update the doctor about the condition of the injured/sick people timely, in order to help them recover soon. Travel RNs are also responsible for some other works and activities such as dealing with the insurance paperwork. They also manage the billing section at times. Educational background, area of specialty and type of industry are certain factors which directly affect the salary of a travel nurse. As of May 2017, the average salary of travel nurses in the United States was $66,081 per annum (Payscale.com). Except Pediatric Operating Room Nurse, all other professionals with similar job designations earned similar salary, i.e. $66,081. They receive various types of insurances which prove to be very useful at the time of emergencies. For instance, accidental death and dismemberment insurance can help cover up the cost of damage. Travel nurses can also carry on their education to acquire extra opportunities in their careers. This education is offered free of cost by the employer to the nurses as an additional advantage. Several employers offer retirement plans to those employees who work for them for a longer period. This is the best aspect of the whole travel nursing. They are provided well furnished and equipped houses by the travel nurse companies. This housing is included in their package. Cell phones, pagers, luggage and health club memberships can be availed by these registered nurses at very special and discounted prices. This benefit enables them to save some money and have a better budget. Travel RNs can avail the option of depositing paycheck electronically in the account directly. This eliminates any possibility of hassles regarding delayed cheques. A tax-free reimbursement plan for traveling is offered to these travel nurses. This keeps them from incurring extra travel expenses. Travel nurses receive handsome salary packages along with daily allowances for meals and incidentals. They are also paid overtime at good pay rates if, in case, they have to work more than the prescribed hours. There is an option of referral bonus provided to these professionals. They can get bonus by referring their friends or relatives for any post or job. Besides, you can get sign-on and completion bonus up to $6,000. These nurses get assistance and support from the experienced registered nurses 24 hours a day. They stand by your side to help you and provide aid in case of any questions or difficulties. Immense growth has been anticipated in the profession of travel nursing. The nurses get excellent salary packages along with the chance to travel the whole world. The career outlook is positive for a long time and the employment opportunities will continue to increase in the upcoming years. The health care industry is budding at a faster rate, and this has lead to high demand of travel RNs to fill up the shortage. They can also continue with their education as well as become nurse practitioners and educators to get advancement in their career. This will maximize the opportunities in medical, administration and educational fields. All in all, the travel nurses are in demand, and the hospitals are also ready to pay them excellent remuneration.